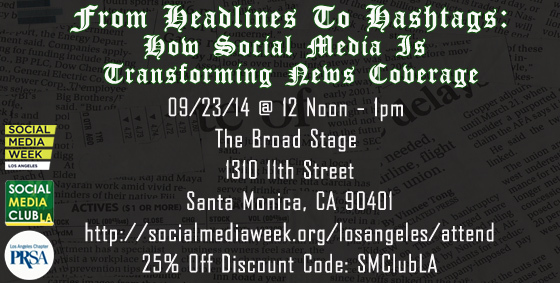 Social Media Week LA Panel 9/23 at 12/ noon, featuring LA based News and Social Media experts. This entry was posted on Monday, September 22nd, 2014 at 1:30 pm. You can follow any responses to this entry through the RSS 2.0 feed.